Each year, a large number of affordable rental units are lost from the nation’s housing supply due to demolition, deterioration of aging properties, expiring federal contracts and affordability controls, and gentrification. At the same time, the demand for affordable rental housing continues to intensify. Research shows sharp increases in the number of very low-income renters and renters paying more than 50 percent of their income toward housing costs. Furthermore, weak economic conditions and a widespread foreclosure crisis have turned millions of homeowners into renters, adding pressure on the rental housing market. Preserving the nation’s existing stock of affordable rental housing is critical to meeting this growing demand. On June 28, 2013, HUD’s Office of Policy Development and Research hosted a panel discussion on preserving affordable rental housing as part of its Quarterly Briefing series, building on the content of the upcoming Evidence Matters issue on this topic. The panel, moderated by Margaret Salazar, acting director of the Office of Affordable Housing Preservation, brought together practitioners and HUD staff to share their perspectives and discuss preservation challenges, tools, and useful practices enabling a comprehensive discussion of the issue. One of the key challenges to preserving rental housing is early identification of properties that are at risk of being lost from the affordable housing inventory. Access to timely data and analysis enables practitioners to detect such at-risk units and take appropriate action. Anne Ray, manager of the Florida Housing Data Clearinghouse at the Shimberg Center for Housing Studies, described the various databases and tools available on the clearinghouse’s website and how they can help stakeholders make strategic preservation decisions. One such tool is the Assisted Housing Inventory (AHI), a searchable database of Florida’s affordable rental housing stock that includes information about the location, number of units, subsidy layers, affordability period, ownership, and tenant characteristics for each property. Florida’s state housing finance agency uses AHI to identify potential preservation projects, and developers use it to obtain information on projects financed with low-income housing tax credits. The clearinghouse also hosts the Lost Properties Inventory (LPI), which catalogues properties that have exited the affordable housing inventory since 1993. LPI is both an advocacy tool that allows people to see net losses and gains and a research tool to measure how the rental housing inventory changes over time. Another tool offered through the Shimberg Center, the Affordable Housing Suitability Model, is a GIS-based model that allows users to evaluate the suitability of properties for affordable housing development or preservation using variables such as neighborhood characteristics, neighborhood accessibility, available infrastructure, driving cost, and transit accessibility. While data collection and analysis play a vital role in the preservation process, active collaboration among the different stakeholders in public, nonprofit, and philanthropic sectors is also essential. Stacie Young, director of the Preservation Compact, discussed the coalition’s work to reverse the loss of affordable rental housing in Cook County, Illinois. Formed in 2007 with support from the John D. and Catherine T. MacArthur Foundation, the Compact brings together public officials, housing advocates, business leaders, and other stakeholders to identify and implement effective strategies to preserve the county’s affordable rental housing stock. 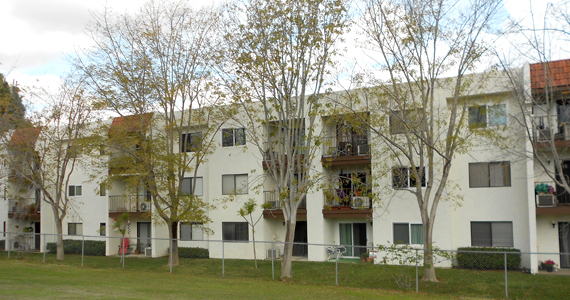 The Compact’s focus areas include energy-efficiency retrofits and consistent property taxes for multifamily buildings. Through the Energy Savers program, Compact partner organizations, Center for Neighborhood Technology and Community Investment Corporation have completed energy audits on 35,000 units and retrofitted 12,000 units. The Compact is also creating new financing products that will allow responsible investors to purchase and rehabilitate groups of two- to four-unit rental buildings. These small rentals make up a third of Cook County’s rental housing stock and are located in areas hit hardest by foreclosures. Facilitating information sharing and coordination among public agencies to preserve government-assisted rental housing is another key Compact activity. The coalition’s Interagency Council is composed of representatives from HUD, the state of Illinois, Cook County, and city of Chicago agencies. A working group meets monthly to identify and track at-risk properties and evaluate preservation options. The intervention process involves alerting appropriate public agencies regarding at-risk properties, meeting with property owners or managers to provide information about available preservation resources, and engaging tenant groups. The nation’s more than 1.15 million public housing units have a backlog of capital needs estimated at $26 billion, and 8,000 to 15,000 public and federally assisted housing units are being lost each year due to demolition or disposition. Will Lavy of HUD’s Office of Public and Indian Housing explained how HUD’s Rental Assistance Demonstration (RAD) program will preserve deeply affordable rental housing. Authorized by Congress in 2012, RAD allows public housing agencies and private owners of Section 8 Moderate Rehabilitation, Rent Supplement, and Rental Assistance Payment properties to convert to long-term, project-based Section 8 contracts. The conversion allows owners of these properties to access private financing to address rehabilitation needs. In addition to substantial rehabilitation, owners can modernize aging properties and demolish and replace deteriorating buildings with new construction. Tenants of these properties have the right to return if relocated during rehabilitation and can continue in service programs, such as the Family Self- Sufficiency and Resident Opportunities and Self-Sufficiency programs. HUD is actively working with applicants to convert their properties. Demand for the program is rising, and HUD expects to reach the 60,000-unit program cap by the end of 2013. A webcast of the panel discussion is available at: www.huduser.gov/quarterly_briefing/preserving_aff_rental_hsg.html.